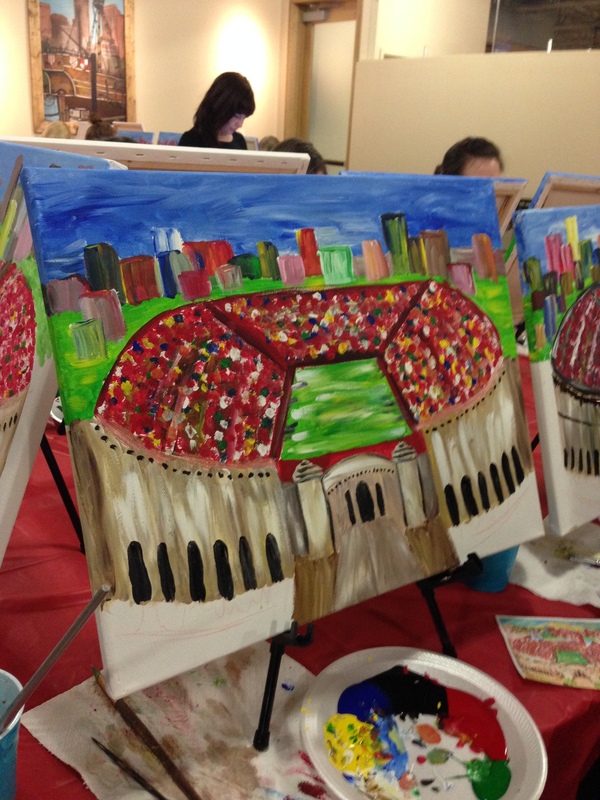 Yes, I know, we’ve all done a million of these “wine and paint” classes. But still, I do really, truly enjoy these now and then. So when The Ohio State Alumni Association recently sponsored this class at the brand-new-better-than-whole-foods Giant Eagle Market District, I was totally in. The 614 Studio is a traveling version of these wine and paint studios, which is sort of cool since you can book them to host a party anywhere. And I really liked all the girls working with them! 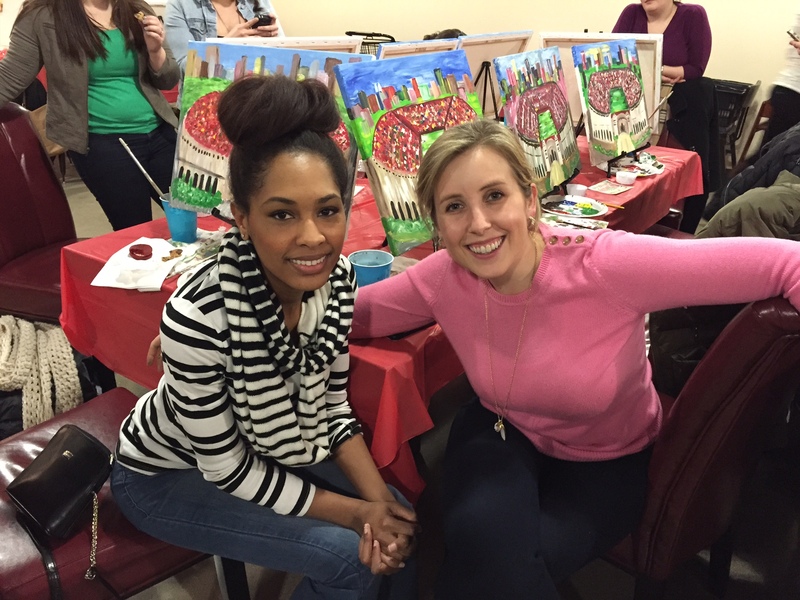 Me and Tareya, rocking both the painting, and the wine-ing. What were we painting? Well, the Shoe, obviously. What else? And yes, the outline was sketched out ahead of time. VERY smart, if you ask me. And here is the almost finished version of mine…I think it turned out pretty okay!